Our product range includes a wide range of natural wavy human hair, south indian unprocessed natural hair, virgin temple hair, unprocessed india hair, raw natural wavy hair and deep wavy remy hair. We are specialized in offering the superior quality assortment of Natural Wavy Human Hair. Offered wavy hair is processed using the best quality basic materials and modern methodology keeping in mind the latest market trends. Our offered hair enhances the personality of the user and has gained huge demand among our clients. We offer this wavy hair in different shades, lengths and textures to choose form. We sell 100% natural wavy human hair .its 100% cuticle correct well aligned in the same direction. We sell 100% human hair without any mixing. It's very silky smooth and shiny hair. Natural wavy silky smooth hair is available in machine weft and bulk/loose hair in 10 to 28 inch. Having a defined quality management system, we are regarded as the noteworthy organization for offering an elevated range of South Indian Unprocessed Natural Hair. The offered hair is highly appreciated by our clients owing to natural shine, smooth texture and long lasting finish. This hair is processed at our hygienically maintained production unit with the use of natural human hair. Our clients can purchase the offered hair from us in a multitude of colors and textures to cater their variegated requirements. We Are Leading Preparer of Virgin Temple Hairwe Supply to Sell Wholesale Indian Hair in India Without Any Mixing. This Hair is Authentic, Remy Virgin Human Hair. We Offer to Sell Low Prices in the Market. We Sell High Quality Indian Natural Hair With Natural Color. This Natural Color Hair Can Be Dye and Bleach to Change the Color of the Hair. It’s Available in 10 to 30 Inch Hair Lengths. It is 100 % Temple Raw Hair. These Hairs Can Be Easily Restyled. It is Natural Human Hair With Natural Shine and Smoothness. Unprocessed India Hair From Indian Temples. We are leading manufacturer of Best quality Unprocessed India Hair from Indian Temples. We supply to sell wholesale Indian hair in India without any mixing. This hair is authentic, remy virgin human hair. We offer to sell low prices in the market. We sell high quality Indian natural hair with natural color. This natural color hair can be dye and bleach to change the color of the hair. It’s available in 8 to 30 inch hair lengths. It is 100 % temple raw hair. These hairs can be easily restyled. It is natural human hair with natural shine and smoothness. We are leading manufacturer of Raw Natural Wavy HairWe supply to sell wholesale Indian hair in India without any mixing. This hair is authentic, remy virgin human hair. We offer to sell low prices in the market. We sell high quality Indian natural hair with natural color. This natural color hair can be dye and bleach to change the color of the hair. It’s available in 10 to 30 inch hair lengths. It is 100 % temple raw hair. These hairs can be easily restyled. It is natural human hair with natural shine and smoothness. 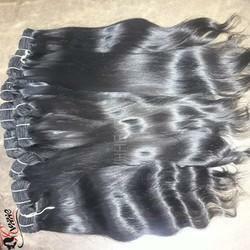 We are leading manufacturer of Deep Wavy Remy HairWe supply to sell wholesale Indian hair in India without any mixing. This hair is authentic, remy virgin human hair. We offer to sell low prices in the market. We sell high quality Indian natural hair with natural color. This natural color hair can be dye and bleach to change the color of the hair. It’s available in 10 to 30 inch hair lengths. It is 100 % temple raw hair. These hairs can be easily restyled. It is natural human hair with natural shine and smoothness. We are leading manufacturer of Natural Wavy Remy Human Hair ExtensionWe supply to sell wholesale Indian hair in India without any mixing. This hair is authentic, remy virgin human hair. We offer to sell low prices in the market. We sell high quality Indian natural hair with natural color. This natural color hair can be dye and bleach to change the color of the hair. It’s available in 10 to 30 inch hair lengths. It is 100 % temple raw hair. These hairs can be easily restyled. It is natural human hair with natural shine and smoothness. We Are Leading Preparer Of short Wavy Hair Extension we Supply to Sell Wholesale Indian Hair in India Without Any Mixing. This Hair is Authentic, Remy Virgin Human Hair. We Offer to Sell Low Prices in the Market. We Sell High Quality Indian Natural Hair With Natural Color. This Natural Color Hair Can Be Dye and Bleach to Change the Color of the Hair. It’s Available in 10 to 30 Inch Hair Lengths. It is 100 % Temple Raw Hair. These Hairs Can Be Easily Restyled. It is Natural Human Hair With Natural Shine and Smoothness. We are the eminent organization actively engaged in offering Indian Natural Wavy Hair. We offer this human hair in different shades, lengths, textures as per the needs of clients. Our offered hair is recognized for natural shine, softness, high strand strength and long lasting shine thereby widely demanded in the global market. It is used to increase the length and fullness of a person's natural hair and can be cut and styled just like real hair. 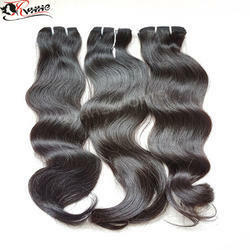 We are leading manufacturer of Remy Single Drawn Deep Wavy HairWe supply to sell wholesale Indian hair in India without any mixing. This hair is authentic, remy virgin human hair. We offer to sell low prices in the market. We sell high quality Indian natural hair with natural color. This natural color hair can be dye and bleach to change the color of the hair. It’s available in 10 to 30 inch hair lengths. It is 100 % temple raw hair. These hairs can be easily restyled. It is natural human hair with natural shine and smoothness. By keeping track with the variegated demands of the markets, we are engaged in offering Human Indian Hair Natural Color Wavy that is available in different designs, length and colors. With the aid of ultra-modern technology and advanced techniques, our industry experts clean and process this hair in accordance with international quality standards. Our quality controllers thoroughly check the texture, strand strength and shine of the hair before delivering at the client’s end. Clients can avail the offered range from us at market leading prices. We are leading manufacturer of Natural Wavy Long Hair.We supply to sell wholesale Indian hair in India without any mixing. This hair is authentic, remy virgin human hair. We offer to sell low prices in the market. We sell high quality Indian natural hair with natural color. This natural color hair can be dye and bleach to change the color of the hair. It’s available in 10 to 30 inch hair lengths. It is 100 % temple raw hair. These hairs can be easily restyled. It is natural human hair with natural shine and smoothness. Packaging Details: Transparent High Quality Poly Bag. You Can put you Logo In Poly bag Very easily. We are leading manufacturer of Natural Regular Wave HairWe supply to sell wholesale Indian hair in India without any mixing. This hair is authentic, remy virgin human hair. We offer to sell low prices in the market. We sell high quality Indian natural hair with natural color. This natural color hair can be dye and bleach to change the color of the hair. It’s available in 10 to 30 inch hair lengths. It is 100 % temple raw hair. These hairs can be easily restyled. It is natural human hair with natural shine and smoothness. We are leading manufacturer of Natural Wavy Human Hair We supply to sell wholesale Indian hair in India without any mixing. This hair is authentic, remy virgin human hair. We offer to sell low prices in the market. We sell high quality Indian natural hair with natural color. This natural color hair can be dye and bleach to change the color of the hair. It’s available in 10 to 30 inch hair lengths. It is 100 % temple raw hair. These hairs can be easily restyled. It is natural human hair with natural shine and smoothness. 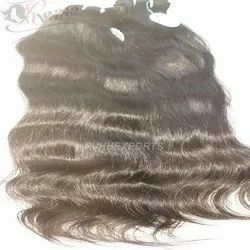 We are leading manufacturer of Indian Remy Natural Wavy Silky Smooth Human HairWe supply to sell wholesale Indian hair in India without any mixing. This hair is authentic, remy virgin human hair. We offer to sell low prices in the market. We sell high quality Indian natural hair with natural color. This natural color hair can be dye and bleach to change the color of the hair. It’s available in 10 to 30 inch hair lengths. It is 100 % temple raw hair. These hairs can be easily restyled. It is natural human hair with natural shine and smoothness. We Are Leading Preparer of Wavy Hair. We Supply to Sell Wholesale Indian Hair in India Without Any Mixing. This Hair is Authentic, Remy Virgin Human Hair. We Offer to Sell Low Prices in the Market. We Sell High Quality Indian Natural Hair With Natural Color. This Natural Color Hair Can Be Dye and Bleach to Change the Color of the Hair. It’s Available in 10 to 30 Inch Hair Lengths. It is 100 % Temple Raw Hair. These Hairs Can Be Easily Restyled. It is Natural Human Hair With Natural Shine and Smoothness. We are leading manufacturer of Remy Single Drawn Natural Wavy Human Hair. We supply to sell wholesale Indian hair in India without any mixing. This hair is authentic, remy virgin human hair. We offer to sell low prices in the market. We sell high quality Indian natural hair with natural color. This natural color hair can be dye and bleach to change the color of the hair. It's available in 10 to 30 inch hair lengths. It is 100 % temple raw hair. These hairs can be easily restyled. It is natural human hair with natural shine and smoothness. We Are Leading Preparer of Remy Indian Human Hair Bouncy Wavewe Supply to Sell Wholesale Indian Hair in India Without Any Mixing. This Hair is Authentic, Remy Virgin Human Hair. We Offer to Sell Low Prices in the Market. We Sell High Quality Indian Natural Hair With Natural Color. This Natural Color Hair Can Be Dye and Bleach to Change the Color of the Hair. It’s Available in 10 to 30 Inch Hair Lengths. It is 100 % Temple Raw Hair. These Hairs Can Be Easily Restyled. It is Natural Human Hair With Natural Shine and Smoothness. 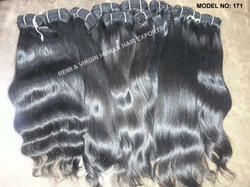 We are leading manufacturer of Bundles Of Wet And Wavy Indian Remy Hair. We supply to sell wholesale Indian hair in India without any mixing. This hair is authentic, remy virgin human hair. We offer to sell low prices in the market. We sell high quality Indian natural hair with natural color. This natural color hair can be dye and bleach to change the color of the hair. It’s available in 8 to 30 inch hair lengths. It is 100 % temple raw hair. These hairs can be easily restyled. It is natural human hair with natural shine and smoothness. 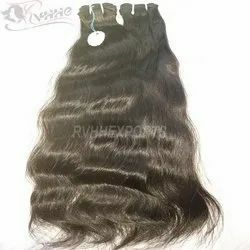 Backed by a team of highly qualified professionals, we are able to offer Remy Single Drawn Wavy extensions Hair in variety of customized options. The offered hair is widely demanded by our clients for its smooth texture, long lasting finish and natural shine. In the cleaning, washing and processing procedures of this hair, we make use of advanced technology and the latest techniques keeping in mind the set industry norms. In addition to this, we are offering this range at market leading. 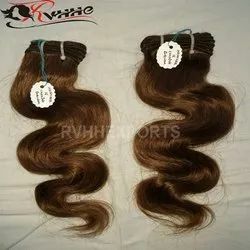 We are leading manufacturer of Remy Natural Wavy Human Hair We supply to sell wholesale Indian hair in India without any mixing. This hair is authentic, remy virgin human hair. We offer to sell low prices in the market. We sell high quality Indian natural hair with natural color. This natural color hair can be dye and bleach to change the color of the hair. It's available in 8 to 30 inch hair lengths. It is 100 % temple raw hair. These hairs can be easily restyled. It is natural human hair with natural shine and smoothness. 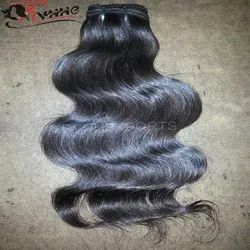 We are leading manufacturer of Indian Water Wave Hair ExtensionWe supply to sell wholesale Indian hair in India without any mixing. This hair is authentic, remy virgin human hair. We offer to sell low prices in the market. We sell high quality Indian natural hair with natural color. This natural color hair can be dye and bleach to change the color of the hair. It’s available in 10 to 30 inch hair lengths. It is 100 % temple raw hair. These hairs can be easily restyled. It is natural human hair with natural shine and smoothness. We are leading manufacturer of Indian Wavy HairWe supply to sell wholesale Indian hair in India without any mixing. This hair is authentic, remy virgin human hair. We offer to sell low prices in the market. We sell high quality Indian natural hair with natural color. This natural color hair can be dye and bleach to change the color of the hair. It’s available in 10 to 30 inch hair lengths. It is 100 % temple raw hair. These hairs can be easily restyled. It is natural human hair with natural shine and smoothness. We are leading manufacturer of Wavy Remy Hair We supply to sell wholesale Indian hair in India without any mixing. This hair is authentic, remy virgin human hair. We offer to sell low prices in the market. We sell high quality Indian natural hair with natural color. This natural color hair can be dye and bleach to change the color of the hair. It’s available in 10 to 30 inch hair lengths. It is 100 % temple raw hair. These hairs can be easily restyled. It is natural human hair with natural shine and smoothness. 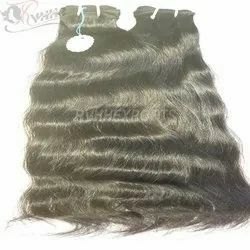 We Are Leading Preparer of Big Wave Indian Remy Hair Extensionwe Supply to Sell Wholesale Indian Hair in India Without Any Mixing. This Hair is Authentic, Remy Virgin Human Hair. We Offer to Sell Low Prices in the Market. We Sell High Quality Indian Natural Hair With Natural Color. This Natural Color Hair Can Be Dye and Bleach to Change the Color of the Hair. It’s Available in 10 to 30 Inch Hair Lengths. It is 100 % Temple Raw Hair. These Hairs Can Be Easily Restyled. It is Natural Human Hair With Natural Shine and Smoothness. 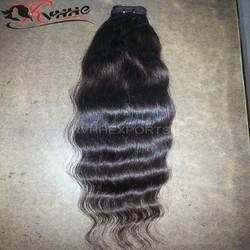 We are leading manufacturer of Wave Human HairWe supply to sell wholesale Indian hair in India without any mixing. This hair is authentic, remy virgin human hair. We offer to sell low prices in the market. We sell high quality Indian natural hair with natural color. This natural color hair can be dye and bleach to change the color of the hair. It’s available in 10 to 30 inch hair lengths. It is 100 % temple raw hair. These hairs can be easily restyled. It is natural human hair with natural shine and smoothness. We are leading manufacturer of Cheap Human Hair ExtensionWe supply to sell wholesale Indian hair in India without any mixing. This hair is authentic, remy virgin human hair. We offer to sell low prices in the market. We sell high quality Indian natural hair with natural color. This natural color hair can be dye and bleach to change the color of the hair. It’s available in 10 to 30 inch hair lengths. It is 100 % temple raw hair. These hairs can be easily restyled. It is natural human hair with natural shine and smoothness. 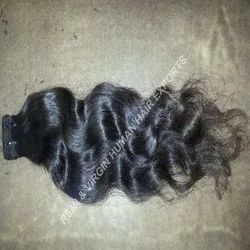 We are leading manufacturer of Wholesale Factory Price 9A Luxurious Full Cuticle 100% Virgin Brazilian HairWe supply to sell wholesale Indian hair in India without any mixing. This hair is authentic, remy virgin human hair. We offer to sell low prices in the market. We sell high quality Indian natural hair with natural color. This natural color hair can be dye and bleach to change the color of the hair. It’s available in 10 to 30 inch hair lengths. It is 100 % temple raw hair. These hairs can be easily restyled. It is natural human hair with natural shine and smoothness. 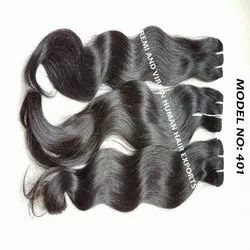 We are leading manufacturer of Brazilian Hair Weave Unprocessed Wholesale Virgin HairWe supply to sell wholesale Indian hair in India without any mixing. This hair is authentic, remy virgin human hair. We offer to sell low prices in the market. We sell high quality Indian natural hair with natural color. This natural color hair can be dye and bleach to change the color of the hair. It’s available in 10 to 30 inch hair lengths. It is 100 % temple raw hair. These hairs can be easily restyled. It is natural human hair with natural shine and smoothness. 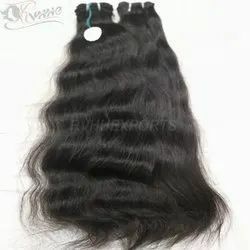 We are leading manufacturer of Wave Human Hair Weave ExtensionsWe supply to sell wholesale Indian hair in India without any mixing. This hair is authentic, remy virgin human hair. We offer to sell low prices in the market. We sell high quality Indian natural hair with natural color. This natural color hair can be dye and bleach to change the color of the hair. It’s available in 10 to 30 inch hair lengths. It is 100 % temple raw hair. These hairs can be easily restyled. It is natural human hair with natural shine and smoothness. Quantity Per Pack Transparent Poly Bag ,You Can Put Your Company Logo in Transparent Poly Bag Very Easily. 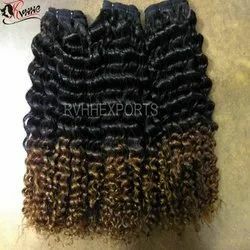 We are leading manufacturer of 100% Remy Indian Human Deep Wavy Hair Extension We supply to sell wholesale Indian hair in India without any mixing. This hair is authentic, remy virgin human hair. We offer to sell low prices in the market. We sell high quality Indian natural hair with natural color. This natural color hair can be dye and bleach to change the color of the hair. It’s available in 10 to 30 inch hair lengths. It is 100 % temple raw hair. These hairs can be easily restyled. It is natural human hair with natural shine and smoothness. Packaging Type Transparent Poly Bag ,You Can Put Your Company Logo in Transparent Poly Bag Very Easily. We Are Leading Preparer of Unprocessed Wholesale 100% Virgin Brazilian Wavy Hairwe Supply to Sell Wholesale Indian Hair in India Without Any Mixing. This Hair is Authentic, Remy Virgin Human Hair. We Offer to Sell Low Prices in the Market. We Sell High Quality Indian Natural Hair With Natural Color. This Natural Color Hair Can Be Dye and Bleach to Change the Color of the Hair. It’s Available in 10 to 30 Inch Hair Lengths. It is 100 % Temple Raw Hair. These Hairs Can Be Easily Restyled. It is Natural Human Hair With Natural Shine and Smoothness. We are leading manufacturer of Weave Indian Remy HairWe supply to sell wholesale Indian hair in India without any mixing. This hair is authentic, remy virgin human hair. We offer to sell low prices in the market. We sell high quality Indian natural hair with natural color. This natural color hair can be dye and bleach to change the color of the hair. It’s available in 10 to 30 inch hair lengths. It is 100 % temple raw hair. These hairs can be easily restyled. It is natural human hair with natural shine and smoothness. We are leading manufacturer of Indian Human HairWe supply to sell wholesale Indian hair in India without any mixing. This hair is authentic, remy virgin human hair. We offer to sell low prices in the market. We sell high quality Indian natural hair with natural color. This natural color hair can be dye and bleach to change the color of the hair. It’s available in 10 to 30 inch hair lengths. It is 100 % temple raw hair. These hairs can be easily restyled. It is natural human hair with natural shine and smoothness. We are the leading manufacturer of Single Drawn Human Hair Wefts. We sell high excellence Indian natural hair with natural color. This natural color hair and can be bleach to change the color of the hair. It's available in 8 to 30 Inch hair lengths. This is beautiful Indian Remy hair style extensions. 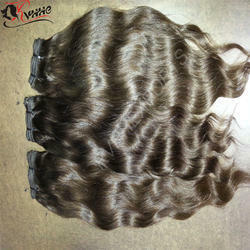 It's very prominent for natural wav style and for silky smooth texture. These hairs are 100% tangle free natural human hair. This hair can be restyle and color. We are leading manufacturer of Wavy Human Hair ExtensionWe supply to sell wholesale Indian hair in India without any mixing. This hair is authentic, remy virgin human hair. We offer to sell low prices in the market. We sell high quality Indian natural hair with natural color. This natural color hair can be dye and bleach to change the color of the hair. It’s available in 10 to 30 inch hair lengths. It is 100 % temple raw hair. These hairs can be easily restyled. It is natural human hair with natural shine and smoothness. 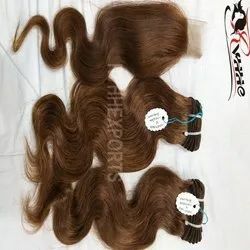 We Are Leading Preparer Of wholesale Grade 9a 100% Virgin Unprocessed Real Cuticle Aligned Hair We Supply to Sell Wholesale Indian Hair in India Without Any Mixing. This Hair is Authentic, Remy Virgin Human Hair. We Offer to Sell Low Prices in the Market. We Sell High Quality Indian Natural Hair With Natural Color. This Natural Color Hair Can Be Dye and Bleach to Change the Color of the Hair. It’s Available in 10 to 30 Inch Hair Lengths. It is 100 % Temple Raw Hair. These Hairs Can Be Easily Restyled. It is Natural Human Hair With Natural Shine and Smoothness. We Are Leading Preparer Of raw Unprocessed Virgin Human Indian Hair we Supply to Sell Wholesale Indian Hair in India Without Any Mixing. This Hair is Authentic, Remy Virgin Human Hair. We Offer to Sell Low Prices in the Market. We Sell High Quality Indian Natural Hair With Natural Color. This Natural Color Hair Can Be Dye and Bleach to Change the Color of the Hair. It’s Available in 10 to 30 Inch Hair Lengths. It is 100 % Temple Raw Hair. These Hairs Can Be Easily Restyled. It is Natural Human Hair With Natural Shine and Smoothness. We are leading manufacturer of Raw Human Hair. We supply to sell wholesale Indian hair in India without any mixing. This hair is authentic, remy virgin human hair. We offer to sell low prices in the market. We sell high quality Indian natural hair with natural color. This natural color hair can be dye and bleach to change the color of the hair. It's available in 10 to 30 inch hair lengths. It is 100 % temple raw hair. These hairs can be easily restyled. It is natural human hair with natural shine and smoothness. we are leading manufacturer of wavy human hair we supply to sell wholesale indian hair in india without any mixing. This hair is authentic, remy virgin human hair. We offer to sell low prices in the market. We sell high quality indian natural hair with natural color. This natural color hair can be dye and bleach to change the color of the hair. It’s available in 10 to 30 inch hair lengths. It is 100 % temple raw hair. These hairs can be easily restyled. It is natural human hair with natural shine and smoothness.